You are bidding on an old & authentic dress from the 1850s. The skirt is large with lots of ruffles. It's in very nice condition. 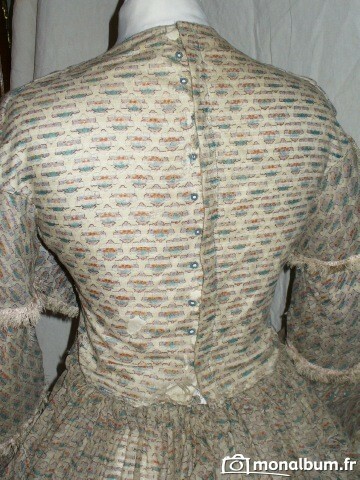 I wish the seller included more information such as measurements; however, this is very much from the 1850's. 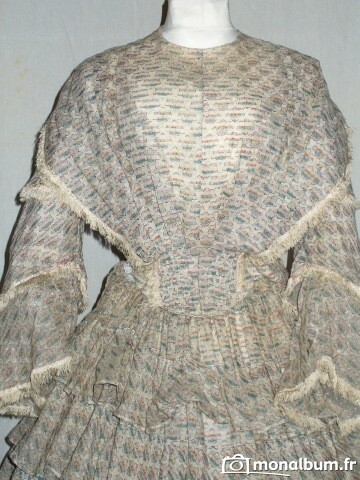 The bodice cut screams 1850's. The way the fan front with the pagoda sleeves are set, this couldn't get more 1850's if it tried. 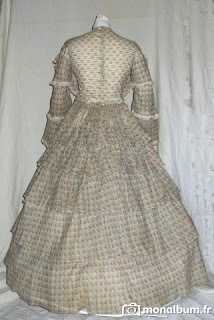 What does she mean by the dress "on elastic recovery"? I believe it's just elastic that was added later - the seller is French and the wording is probably just translation issues. Gorgeous! 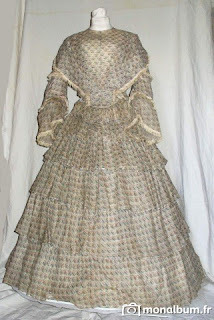 I keep threatening to make an 1850s gown. Gabriela, I haven't heard that term before, either. I suspect she means the waistband is missing and someone replaced it with an elastic-filled casing. I'm looking forward to what Isabella thinks. The 1850's are one of those decades where not enough people attempt it; myself included. 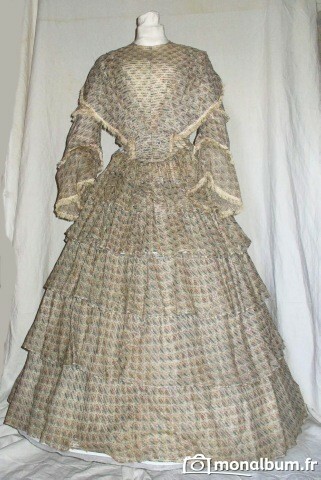 Mostly because if you want to wear it anywhere, you'd have to recut it slightly and make it look 1860's. 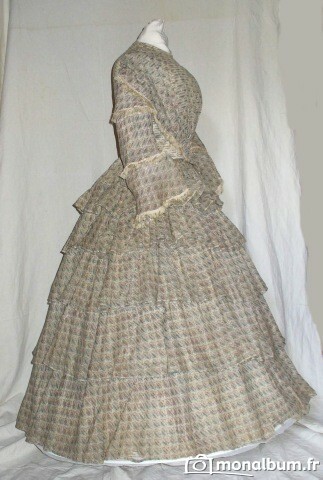 There are more than enough places to wear 1860's. 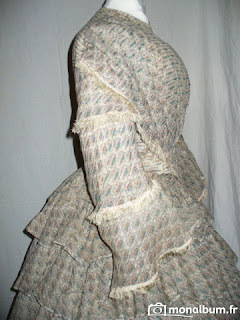 As for the elastic - the seller is French. I suspect just translation issues.